Last week, we had an apartment with a real kitchen and ample equipment to make our own meals. 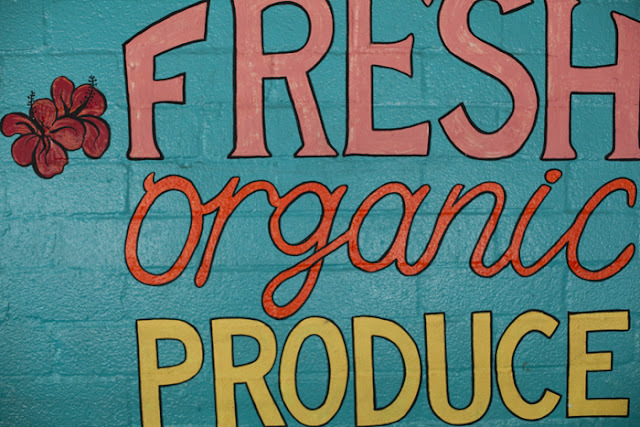 After a little sleuthing, I tracked down the one and only organic market in Darwin, Australia - not a town known for its cuisine. Though during our stay in the Northern Territory, we did try baramundi, kangaroo, and termite mound (yes termite mound!). Greenies is hidden deep in a rundown strip mall, ghostly with its many vacancies. The shop is no cartoonishly abundant Bay Area market, yet Greenies had everything we were looking for - life, good music, and happy hippie foods. Rushing back to our pad, we roasted chicken in our familiar way, tossed together a Berkeley-style salad with plenty of avocado and arugula, and ate kilos of strange exotic fruits. Darwin is damned hot - over 100 degrees every day we were there, and this wasn’t even the hot time of year. I needed the satisfaction of making a refreshing treat for my travelin’ clan. After spending a month in Bali indulging with decadent abandon in fresh fruit juices, lassies, and slushies, I felt inspired to make my own fruity concoction. It was devoured in minutes - a success! 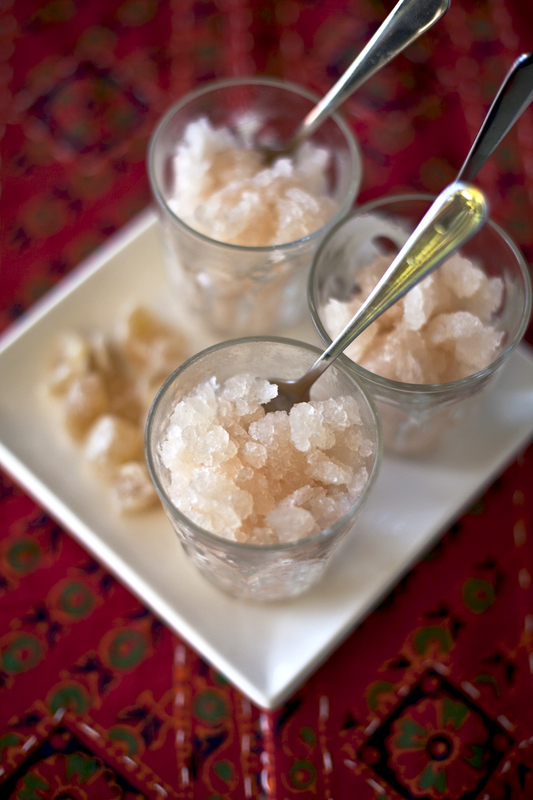 The candied ginger, though not necessary, was delicious with the granita. Next time I’d like to make my own. 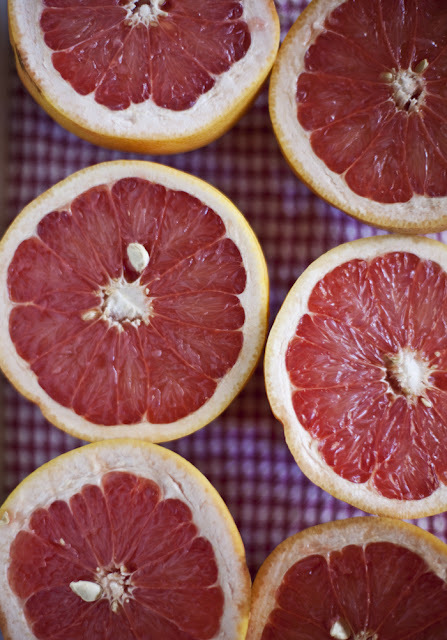 Squeeze out grapefruit juice and remove seeds. Put juice, ginger chunk, and sugar in a saucepan. Cook, stirring regularly over high heat until the sugar is dissolved. Taste for sweetness. Add more sugar if you want a sweeter granita. Make sure all sugar is dissolved before removing liquid from heat. Then let sit for 20 minutes. Strain out pulp and remove ginger chunk. Freezing: Pour liquid into shallow baking pan, or any shallow bowl. Freeze 30 minutes. 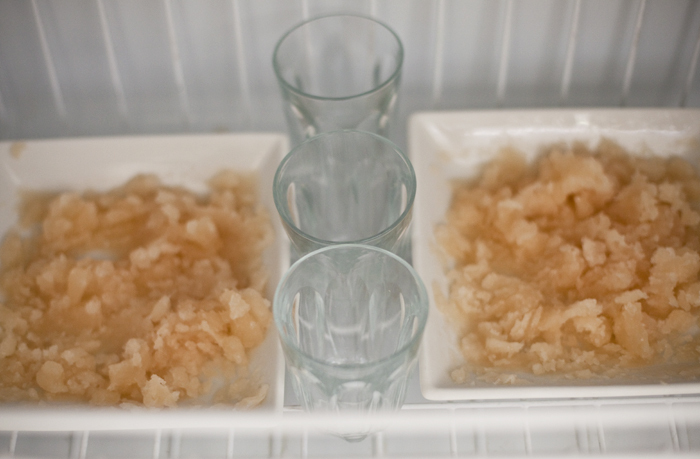 Remove from freezer and stir with a fork to break up any frozen bits. Make sure to scrape the edges of the pan, this is where the freezing begins. Serve with candied ginger. Enjoy! Very lovely and incredible photos!! I miss my kitchen too when away too long! Did you know that most of our candied ginger is grown in Australia? You are there at the source! has it really been 5 weeks? wow. maybe these 10 months really will fly by (selfishly for me) and you will be back in berkeley. meanwhile, i've loved your posts from abroad. i know you miss berkeley but you're introducing us to so many wonderful flavors, chefs, and ingredients. 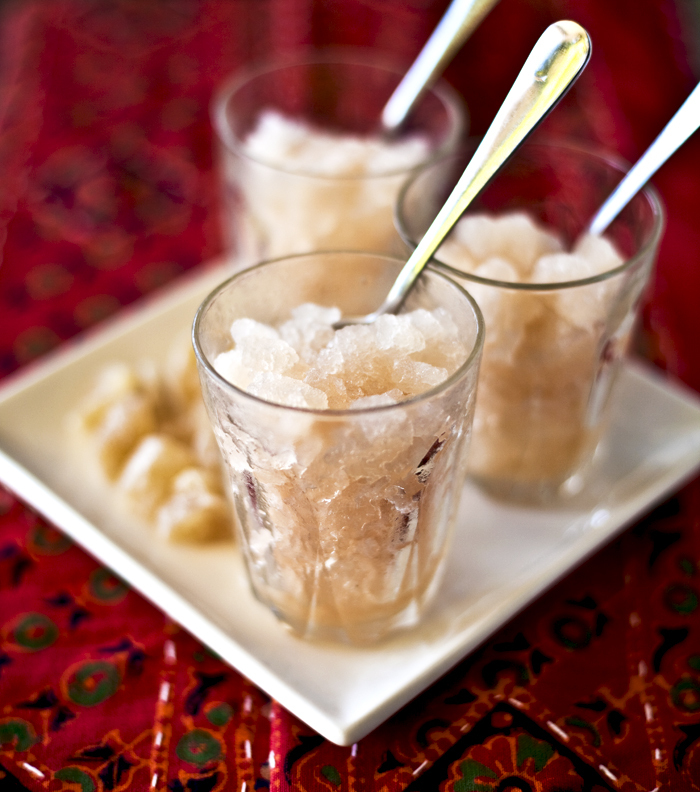 this granita looks fabulous. i could have used it a few days ago when it was 100 degrees in berkeley. we finally had our summer! beautiful photos as well. keep 'em coming! missing your kitchen??? I think I would've missed mine, too. This looks so refreshing! We've been having mild weather as of late, but this weekend we expect some heat. This looks perfect for that!